Mr Yakubu Karagama MBBS, DLO, MSc, FRCS (ORL-HN). Consultant Ear, Nose and Throat and Laryngologist at the Central Manchester University Hospital Department of Otolaryngology and Tameside Hospital. He leads the multidisciplinary specialist voice clinic at Central Manchester University Department of Otolaryngology, Manchester Royal Infirmary. 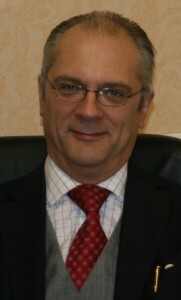 He is the Founder and Course Director for Manchester Phonosurgery course. He is keen in voice research and has obtained an MSc in Advance Voice Research at the University of Newcastle-upon-Tyne in 2005. He has presented his research and won prizes at National and international conferences, including North of England Otolaryngological Society meeting, Royal Society of Medicine, British Association Conference of Otolaryngologist (BACO). He has authored and co-authored over 27 publications. He is an Honorary Senior Lecturer at both University of Manchester and Edge Hill University. He was the first the Secretary of the British Laryngological Association and an Honorary Fellow at the Royal Northern College of Music Manchester. 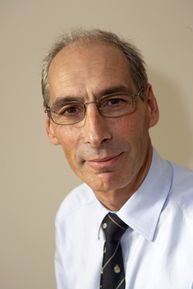 Mr Mark Watson is Consultant ENT / Head and Neck Surgeon at Doncaster Royal Infirmary and Bassetlaw Hospital, Worksop. He is Lead Clinician for Head and Neck Oncology to Doncaster and Bassetlaw Hospital NHSFT, and Network chair for the North Trent Head and Neck NSSG. As well as head and neck oncology, he has a longstanding interest in voice disorders, having established the Doncaster voice clinic in 1992 after training in Birmingham and Newcastle. He lectures regularly on voice disorder management, particularly injection medialisation, and laryngopharyngeal reflux. Dinesh Chhetri, MD, FACS, is a Professor of Head and Neck Surgery at the University of California, Los Angeles (UCLA), United States. He obtained his medical degree, residency training in otolaryngology, and fellowship training in Laryngology all at UCLA. He is a dedicated Laryngologist whose medical practice is devoted to the breadth of laryngology: voice, airway, and swallowing disorders. He is the director of the UCLA Swallowing Disorders Program, the UCLA Head and Neck Cancer Survivorship Program and co-director of the UCLA Laryngology (Voice) program. He serves as Council Member of the American Laryngological Association. He recently authored the book “Dysphagia Evaluation and Management in Otolaryngology”. He is a NIH funded researcher in the field of Neurolaryngology, Neuromuscular Control of the Larynx, and Mechanisms of Voice Production and has made scientific and clinical contributions in these arenas. Domingos Hiroshi Tsuji holds a medical degree from the University of São Paulo - School of Medicine (1985) and has a Medical Residency in Otorhinolaryngology at the Clinics Hospital of Sao Paulo University Medical School. He obtained his Doctorate degree (1997) and “Full-Professor” degree (2002) in Otorhinolaryngology at the same University. He completed a two-year specialization in Laryngology and Phonosurgery at Keio University Medical School - Tokyo – under the guidance of Prof. Hiroyuki Fukuda from 1988 to 1990. He is a former president of the Brazilian Academy of Laryngology and Voice (2004 -2005) and served as the President of Brazilian Association of Otorinolaryngology and Cervico-Facial Surgery in 2016. Currently he is Associate Professor and Post-Graduation Coordinator at the ENT Department of the University of São Paulo School of Medicine. He is also responsible for the coordination of the Voice Group at Clinics Hospital of the University of São Paulo. He works in the area of ​​otorhinolaryngology, mainly in the area of ​​Laryngology and Phonosurgery. He develops intense scientific and didactic activity within Brazil and abroad (mainly in Latin America) dealing mainly with issues related to vocal disorders, laryngeal semiology, phonosurgery and basic laryngology research. More recently, due to the good results obtained with Endoscopic Neuromyectomy of the TA Muscle for the Treatment of Adductor Spasmodic Dysphonia, he has been more frequently involved in sharing his technique and experience in several national and international otorhinolaryngological meetings. Published works in scientific Journals: 106; Chapter in books: 35; Published Books: 09. 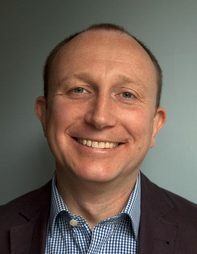 Iain has worked as a Consultant Paediatric Otolaryngologist at the Royal Manchester Children’s Hospital since 2009 and is the Honorary Professor of Paediatric Otolaryngology, MAHSC, University of Manchester. He is a member of the Standing Scientific Committee of the European Society of Paediatric Otolaryngology (ESPO) and the council of the British Association for Paediatric Otolaryngology (BAPO). Iain is an active researcher, holding 5 National Institute for Health Research (NIHR) grants and regularly contributes by invitation to Paediatric ENT & Auditory Implant conferences and meetings. His research interests complement his clinical specializations, namely Airway Obstruction and Hearing Loss in children. He is the deputy editor for Cochlear Implants International and member of the International Editorial Board for Clinical Otolaryngology. Richard Hewitt qualified from Guys’ and St. Thomas’ Medical School, London (MB, BS 1994-2000) & Harvard Medical School, Boston, USA (2000). During his training he undertook a BSc in Clinical Anatomy during which he undertook clinical research in conjunction with Harvard Medical School. 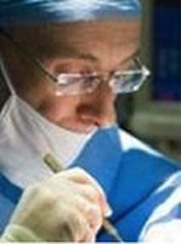 An interest in Paediatric ENT and Head & Neck surgery further developed with time spent at Cincinnati Children’s Hospital and Medical Centre, Ohio under the instruction of Dr Robin Cotton (one of the most eminent experts in the field of paediatric ENT) & the Memorial Sloane Kettering Hospital, New York under the instruction of Professor Jatin Shah. Following higher surgical training he undertook the Great Ormond Street Hospital Fellowship in Paediatric Otolaryngology. His practice encompasses all types of ear, nose and throat problems in children. He has special interests in the management of airway obstruction in children (including laryngotracheal reconstructive surgery), and in middle ear and mastoid surgery. 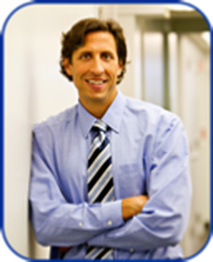 His practice also includes the management of routine ENT conditions in children with other complex medical problems. In 2012, he was appointed to the Consultant Staff of Great Ormond Street Hospital for Children, London where he conducts his NHS practice and in 2017 was the recipient of “The Great Ormond Street Hospital Surgical Consultant of the Year” Award. Areas of sub-specialist interest and experience include children’s airway and laryngeal problems (including laryngotracheal reconstructive surgery, cricotracheal resection, tracheal resection and slide tracheoplasty surgery), children’s voice disorders. He has published over 50 peer-reviewed articles and several chapters in ENT and other textbooks, and is a Council Member of the Section of Laryngology & Rhinology of the Royal Society of Medicine. 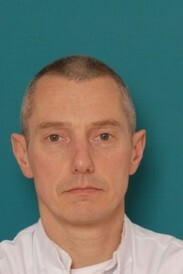 At Great Ormond Street Hospital he Directs the Nationwide airway service – “The Tracheal Team”. He is involved extensively with undergraduate and postgraduate training in the field and is an Honorary Senior Lecturer at University College London (UCL) & The Institute of Child Health (ICH). Neil graduated in 1993, having completed a BMedSci during his training in cell culture alternatives to animal experimentation. His ENT training was in Nottingham and Sheffield and he spent a sabbatical in Lyon having specialised in Paediatric ENT. Prior to coming to Manchester in 2014 he was Consultant in and Clinical Lead for Paediatric ENT at the Sheffield Children’s Hospital for 10 years. Neil is the Honorary Secretary of the British Association for Paediatric Otolaryngology. He is associate editor of Clinical Otolaryngology and paediatric section editor for Scott Browns Otolaryngology. He is an enthusiastic teacher and is on the faculty of the British Paediatric Otolaryngology course. He is a regular faculty member on other educational courses including coblation tonsillectomy courses. Neil’s specialist clinical areas of interest are airway disease in children, paediatric head and neck and salivary gland disease and the management of children with neurodisability. Markus M. Hess, MD, is Professor and Director of the Department of Voice, Speech and Hearing Disorders at the University Medical Center of Hamburg-Eppendorf, Germany. He is a dedicated otolaryngologist and phoniatrician (speech-language pathology and medicine), subspecializing in laryngology, phonosurgery, and disorders of professional voice users. The special environment in Hamburg enables the performance of the highest level of patient care in a center of excellence. Dr. Hess brings a multidisciplinary approach to such patients as public speakers, singers, and actors. Patients receive cutting-edge minimally invasive techniques in laryngeal microsurgery as well as office-based voice surgery in topical anesthesia. Dr. Hess is a founding member of the ‘German Society of Phonosurgery’ and continuously contributes to the voice field as a member of editorial boards, medical journals and numerous national and international committees. In October 2014 he will start a German voice clinic (Deutsche Stimmklinik) next to the University medical Center in Hamburg. Dr. Ahmed Geneid is the head of Phoniatrics Department, in Helsinki University Hospital of Otolaryngology-Head and Neck Surgery. He holds a double specialty in Ear, nose and throat surgery as well as Phoniatrics (medical specialty of communication disorders). 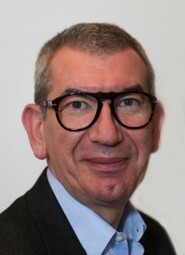 He is currently serving as vice-president of the Union of European Phoniatricians. He is a founding member of the European Academy of Phoniatrics and also a founding member of the Finnish Society of Laryngology. Dr. Geneid leads a multidisciplinary team dealing with voice patients in the Phoniatrics department in Helsinki, Finland. His main interests are voice rehabilitation through surgery and voice therapy. 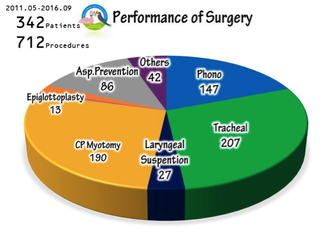 He has a growing number of over 24 publications and lectures regularly on phonosurgery- and voice-related topics. Some of these topics include glottoplasty for raising the pitch, vocal fold augmentation treatment for presbyphonia and others. Kishore B. SANDU is the Head of the Airway Sector, recognised as centre of excellence and highly specialised medicine by the Swiss federal health law in the Department of Otorhinolaryngology, Lausanne University Hospital, Switzerland. He holds memberships of Swiss society of otorhinolaryngologists, and the Head and Neck working group of the Swiss ENT society. He is an editorial board referee & reviewer of the International Journal of Pediatric Otorhinolaryngology, European Archives of ORLHNS, Laryngoscope, and Annals of ORL. He has more than 40 articles publshed in peer reviewed journal and 8 chapters related to compromised airway in children and adults. Has been invited to more than 50 conferences (ENT, anesthesiology, pulmonology, pediatrics) as Guest / Principal speaker within Switzerland, Europe and Internationally. He has conducted several live surgical / cadaveric dissection / animal model workshops on Laryngotracheal framework surgery.His current reasearch activity includes Bioengineered trachea in collaboration with the Ecole Polytechnique Fédérale de Lausanne EPFL. Prof Jean-Paul Marie is a Professor in the Department of Otolaryngology, Head & Neck Surgery and Audiophonology at the University Hospital in Rouen, France. He is the Head of the Experimental Surgery Laboratory, school of Medicine, and Head of the Rouen University team EA 3830 GRHV: Research Team on the Ventilatory Handicap. He works on laryngeal reinnervation for several years through animal research projects , and now apply this technique in humans. He has regularly presented his results at international conferences and workshops. His main interest is in Phonosurgery, Neurolaryngology, but also interested in Otology and Skull base surgery. He is a member of the ELS, EGFL, American Neurolaryngology Study Group. He is the current President of the French Society of Phoniatry. Kate is a consultant ENT surgeon at Poole General Hospital specialising in Head and Neck and Laryngology. She undertook a fellowship in 2012 with Jean-Paul Marie in Rouen and then went on to a further Laryngology fellowship with John Rubin and Guri Sandhu at the Royal National Throat Nose and Ear Hospital. She is collaborating with Martin Birchall and Jean-Paul Marie to introduce reinnervation techniques to the UK. Gerd Fabian Volk is an experienced laryngologist at the ENT-Department, Facial-Nerve-Center , Jena University Hospital, Haus A, Am Klinikum 1. 07747 Germany. He is the Head of the interdisciplinary Facial-Nerve-Center Jena. The Facial-Nerve-Center is a cooperation between the Department of Psychology, Neurology, Physiotherapy, Radiology, and Otorhinolaryngology using Biofeedback and Constrained Induced Movement techniques. 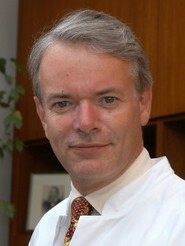 Gerd Fabian Volk worked in the past at the Medical school in Münster in the research group with Prof. Dr. med. Dr. rer. nat. Solon Thanos to quantify and improve nerve regeneration. 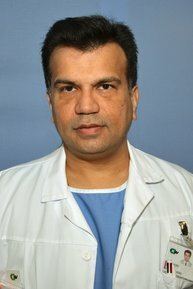 His clinical interests are: Electrophysiological and imaging techniques for the evaluation and representation of the muscles and nerves of the face and of the larynx, application of botulinum toxin in the head and neck region, functional diagnostics and therapy of peripheral nerve lesions. Experimental topics: Development of new methods of reconstruction of the facial and laryngeal nerve, electrostimulation as diagnostic and therapeutic tool, Central changes after brain nerve failure, in particular of the facial and vestibular nerves. ​Prof. Christian Sittel is the chairman of the ENT Department at Klinikum Stuttgart, one of the biggest tertiary referral centers in Germany. Prior to this he has held positions at the University hospitals in Cologne, Homburg/Saar and Heidelberg. Prof. Sittel’s main clinical interests are Laryngology, Head & Neck Surgery. He is author or co-author of more than 80 peer-reviewed publications and has been invited to more than 250 lectures worldwide, covering all fields of laryngology. He is a board member and the incoming Vice-President of the European Laryngological Society (ELS) as well as board member of the European Society of Pediatric Otorhinolaryngology (ESPO). The journals “Clinical Otolaryngology” and “HNO” have him on their editorial board. One of his main special interest is airway surgery in adults & children. Stuttgart is now one of Europe’s biggest centers for airway surgery, having treated well over 500 cases of pediatric and adult laryngotracheal stenosis over the last 6 years. He organises an annual course “Surgery of the Laryngotracheal Junction”, in Stuttgart, offering a comprehensive introduction to pediatric and adult airway surgery, with focus on open surgical techniques cricotracheal resection and laryngotracheal reconstruction. Mr Nick Gibbins is a Head & Neck Surgeon and Laryngologist. He obtained his medical degree from Guys and St Thomas’ Hospitals in London, and his FRCS from the Royal College of Surgeons of England. 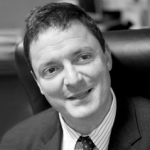 He is Lead Clinician for Head & Neck Oncology at the Lewisham and Greenwich NHS Trust and a dedicated Laryngologist. He is co-lead of the Lewisham Voice Clinic and has a special interest in vocal fold scarring and sulcus. He is a member of the joint ELS / ALA committee into its nomenclature. He is a former committee member of the BVA, current committee member of the BLA and lead for e-learning for laryngology. He has a passion for preventative medicine and training of the professional voice and regularly lectures to musical colleges and conservatoires. He is the laryngologist for the RSC and has the largest professional paediatric voice clinic in the country. He has published multiple papers, invited articles and book chapters on various aspects of laryngology. 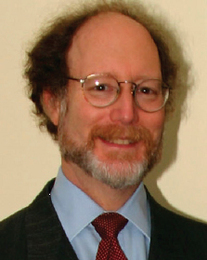 ​ Dr. Gregory Postma is a Professor and Vice-Chairman in the Department of Otolaryngology-Head and Neck Surgery at the Medical College of Georgia and is the Director of the Center for Voice, Airway and Swallowing Disorders since 2005. ​In 1984, Dr. Postma received his medical degree from Hahnemann University in Philadelphia and completed his residency in Otolaryngology at the University of North Carolina at Chapel Hill in 1993. He took a fellowship in laryngology and professional voice at Vanderbilt University and joined the faculty at Wake Forest in 1996. Dr. Postma's clinical interests span the entire field of laryngology. These include voice disorders, professional and singing voice care, dysphagia and complex swallowing disorders, airway surgery and reconstruction, spasmodic dysphonia, extraesophageal and gastroesophageal reflux, and chronic cough. In addition, he is one of the pioneers in the area of in-office surgery including transnasal esophagoscopy and un-sedated laryngeal and airway laser surgery. This work has revolutionized the care of individuals with a host of voice and swallowing problems at a fraction of their previous costs. He is a past President of the American BronchoEsophagologic Association (ABEA) and the Dysphagia Research Society. He is the author or co-author of 100 peer-reviewed publications and has written 50 chapters and invited articles as well as edited 3 books. He has given more than 600 presentations on a wide array of laryngologic topics. He has been selected as one of America’s Top Doctors, a reference that identifies the top 1 % of physicians in the nation, for the past thirteen years. 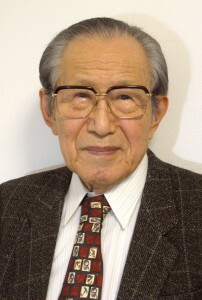 Emeritus Professor Nobuhiko Isshiki, M.D. graduated from Kyoto University, Medical School, 1954, After 1 year Internship, entered ENT dept. Kyoto Univ. He did a lot of Laryngeal Research work at Dr. von Leden’ s Lab. for 2 years. He then went back to Kyoto University to work as a lecturer, and later moved to newly established Dept. of Plastic Surgery, as an associate Professor, then Professor, until his retirement (1993). Thereafter, he became an Emeritus professor, and opened a private clinic majoring of his patients are voice disorder and congenital anomalies such as cleft lip and palate. He continued with intensive research in laryngeal framework surgery and pertinent workshops all over the world, starting at Amsterdam Free University with Prof. Hans Mahieu, and with Nick Maragos Mayo Clinic and at Ankara (Turkey), Santiago (Chile), Seoul (Korea), Kyoto (Japan), and others. His work has been recognized internationally and he was given Awards and Honorary Member of Societies. Some of which includes Gould Award, Cultural Award of Kyoto Newspaper for clinical work on cleft palate, Gutzmann’Award for Clinical laryngeal research work, Acta Oto-Larygologica Prize. Isshiki-Award (Royal Society of Surgeons, England), Honorary Member of Hungarian Society of Otolaryngology, Honorable Fellow American Laryngological, Rhinological and Otological Society. 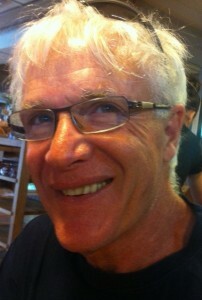 ​Prof Ingo Herrmann is the Head of the Interdisciplinary RefluxCentre in Dusseldorf , Germany. He has lead many departments in the past and helped developed successful laryngology and pharyngology services. He is one of the frontiers in the development and use of transnasal oesophagoscopy in diagnosis and management of dysphagia. His previous appointment were :1972 Doctor of Medicine, 1970 – 1974 Department of Otorhinolaryngology, Head and Neck Surgery of the Ludwig-Maximilian-University, Munich, Germany, 1974 Habilitation at the Ludwig-Maximilian-University, 1980 Professorship of the Julius-Maximilian-University, Würzburg, 1989 Professor and Head of the ENT-Department of the Groningen University, NL, 1992 Professor and Head of the ENT-Department of the European Hospital, Rome, 2011 Head of the Interdisciplinary Reflux-Center-Düsseldorf, Honorary member of the Societad Española de Otorinolaringoiatria and of the Japanise Broncho-esophagological Society, etc. Dr. Tetsuji Sanuki was born in Shimane prefecture 1970. He graduated from Ehime University and spent his fellowship at Takanoko Hospital and Isshiki clinic Kyoto Voice Surg Center. He has been an Associate professor of Department of Otolaryngology-Head & Neck Surgery, Kumamoto University Graduate School of Medicine, since 2010. He is a member of the Oto-Rhino-Laryngological Society of Japan, the Japanese Broncho-Esophagological Society, the Japanese Society of Logopedics and Phoniatrics and the Association for research in Otolaryngology. 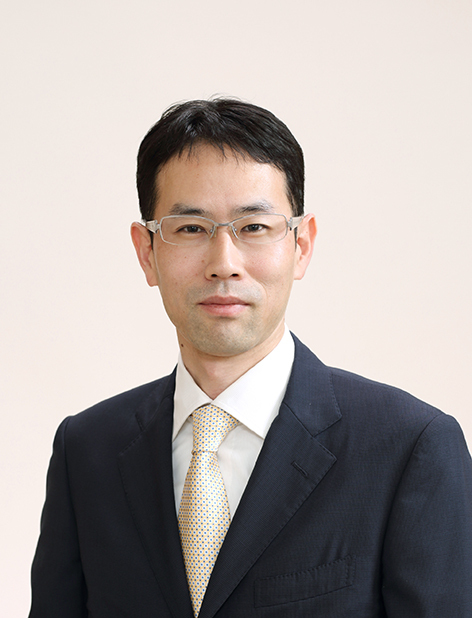 Dr. Sanuki’s major interest is in Laryngology. 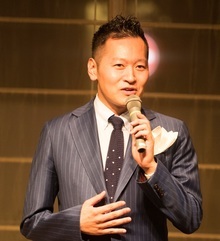 Dr Hideaki Kanazawa graduated from Dokkyo Medical School in 2002. He completed a 12 months fellowship with Professor Isshiki at Isshiki Voice Centre Kyoto in 2008. Dr Kanazawa is one of Japanese leading laryngologist especially in the field of dysphagia. He is the Deputy Director at the Swallowing and Voice centre at the Hamamatsu City Rehabilitation Hospital. His special interest is in aspiration prevention surgery and surgery in neurological dysphagia like hyoid suspension surgery. He held important position in various ENT centres in Japan in the past. He is also a Director at the Kanazawa ENT Clinic Tokyo, part time lecturer at Tokyo College of Music, and lecturer at Seirei Christopher University, School of Rehabilitation Sciences Hamamatsu. He is a council member of some of the most prestigious Laryngological societies in Japan like the Japanese Society of Dysphagia Rehabilitation, the Society of Swallowing and Dysphagia of Japan, the Society of Japanese Clinical Dysphagia Research etc. He pioneered the development of Swallowing and Voice centre at the Hamamatsu City Rehabilitation Hospital 5 years ago. This is one the largest multidisciplinary rehabilitation Centre in Japan. SURGICAL CASES in the PRESENT EMPLOYMENT at Hamamatsu Swallowing and Voice centre, Hamamatsu City Rehabilitation Hospital. Jacob Lieberman, MA, DO, is an internationally acclaimed expert on physical and psychological management of hyper function voice disorders. As an Osteopath and a Psychotherapist he developed the Lieberman protocol for laryngeal examination and physical treatment to release muscle tension and improve joint movements. He is a member of the voice clinic at Lewisham University Hospital London. He has researched and co-authored papers on postural aspects in voice disorders and mechanical dysfunction of the larynx. He is a contributor to leading text books in voice: The Voice Clinic Handbook (Harris et al, 1998, Whurr Publishers, London), Diagnosis and treatment of voice disorders (Rubin Sataloff Korvin 2nd ed), Treatment of Voice Disoerders (Sataloff Plural Pub). and various other publications and articles. He is continuously researching the effects of Laryngeal manipulation on the production of voice. He has been training Ent and SLT in applying palpation as a tool for examination and treatment of laryngeal muscles in the UK, and internationally. Participants find it a useful approach in their voice work. 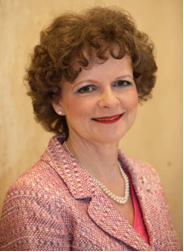 Frances joined MRI in the role of ENT specialist in 1989. Since that time she has built up the service and now heads a small but dedicated team and still enjoys a clinical caseload. Frances is an Honorary Lecturer and Manchester Victoria University and has taught voice as well as Head and Neck Cancer to the undergraduate SLTs now being involved only for a few hours. A new role has been created at the Royal Northern College of Music where for several years Frances has been teaching the first year singers the mechanics of voice production and vocal care. Prof Rudolf Hagen is the Chairman and Head of Otorhinolaryngology, Plastic, Aesthetic and reconstructive Head and Neck Surgery Department University of Würzburg, Germany. His work has been recognised international and he has been honoured and awarded several prestigious titles internationally. Some of these are: Visiting Professor, Universidad Cayetano Heredia, Lima Peru, Corresponding Member ORL-Society Peru, Honorary Member ORL-Society Mongolia, Doctor honoris causa University Ulan Bator Mongolia, Visiting Professor, People´s University Beijing China. He is pioneering cutting edge neurolaryngology and development of laryngeal pacing. Martin is one of the leading Academic Otolaryngologists in the world, one of the leading academic surgeons in Europe and an international figure in the field of translational regenerative medicine. His work is dedicated to the successful translation of innovative technologies, especially in the field of stem cells and regenerative medicine, with a focus on alleviating suffering and improving the quality of life for those with disorders of the head and neck, voice and swallowing. He aims to achieve these goals through forming partnerships with the very best scientists and surgeons in the appropriate fields. These multidisciplinary teams focus on clear therapeutic targets. He has supervised 9 PhD and 5 MD students, raised over £4 million in peer-reviewed grant money, including from MRC, NIH and Wellcome Trust (nearly £2 million held presently) and has published 130 peer-reviewed scientific papers plus numerous reviews and reports. 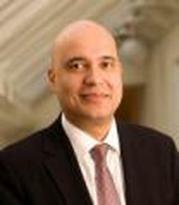 He is Director of UCL Partners ENT Programme and was named Morgan Stanley Briton of the Year in 2008. Guri Sandhu is a Consultant Otolaryngologist and Head & Neck Surgeon at Imperial College and The Royal National Throat Nose and Ear Hospitals in London, with honorary contracts at The Royal Brompton, University College and St Bartholomew’s Hospitals. He is an Honorary Senior Lecturer at Imperial College and University College London. Mr Sandhu graduated from the University of London in 1990 having trained in Medicine at The Royal London Hospital. As a Registrar he trained in ENT at The Royal National Throat, Nose and Ear Hospital and in Paediatric ENT at Great Ormond Street Hospital for Children. Mr Sandhu is a Laryngologist with a special interest in laryngotracheal stenosis but also manages voice and swallowing disorders. He has experience in performing the full spectrum of endoscopic and open surgical procedures on the larynx, pharynx and airway. Many of these procedures he has pioneered himself. He lectures nationally and internationally on these subjects and has an active research programme. He was responsible for setting up The National Centre for Airway Reconstruction in London which comprises a multidisciplinary team of specialists with an interest in airway problems. This unit has treated the largest number of adult patients with laryngotracheal stenosis in Europe. Dr Marc Remacle is an Academic Professor of the faculty of Medecine at the University of Louvain, Belgium. He is Associated –Head of the department of ORL and Head & Neck surgery of the University hospital of Louvain at Mont-Godinne. He is also consultant for voice and speech pathology at the university center of audio phonology of Louvain at Brussels. Dr Remacle chairs the joint commission of the Free University of Brussels and the Catholic University of Louvain for the master’s degree in Logopedics. His interest in Laser surgery led him to contribute to the development of dedicated devices as the micromanipulator and microinstruments. He initiated the new scanner and the new robotic micromanipulator for laser- assisted incision and dissection. He contributed to the development of the Co2 laser wave-guide. 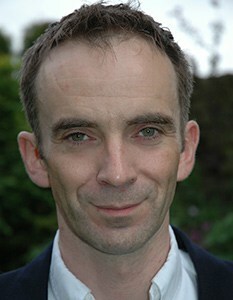 Dr Alistair Makin qualified from the University of London in 1988. Dr Makin is widely respected for his expertise in gastroenterology and in particular for his endoscopic management of pancreatobiliary problems. Dr Makin’s NHS practice is based at Manchester Royal Infirmary. He was appointed as a Consultant Gastroenterologist in 1998, following completion of training and research programmes in a number of London hospitals, including Kings College Hospital and Harefield Hospital. Dr Makin is expert in a full range of diagnostic and therapeutic gastrointestinal endoscopic procedures, including gastroscopy and endoscopic retrograde cholangio-pancreatography (ERCP). Mr Rothera trained in London and then went on to become the clinical lecturer at the Radcliffe Infirmary, Oxford. A position he held for four years before moving to the North West in 1987 to work at the Royal Manchester Children's Hospital and Hope Hospital, Salford. He undertook general training in all aspects of otorhinolaryngology with sub-specialist interest in paediatric ear, nose and throat surgery and otology. 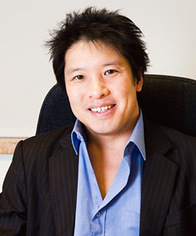 Mr Alan Li was educated in Oxford and graduated from the University of Bristol Medical School. He undertook his surgical training in Leeds/Yorkshire and in Scotland. He was the University of Leeds Medical School Tutor in Surgery followed by three years as a Research Fellow for the Medical Research Council and the Royal College of Surgeons of England. He then travelled to Tokyo and Brisbane as the Senior Clinical Fellow where he developed his practice in gastric cancer and thoracoscopic and laparoscopic (keyhole) oesophageal cancer surgery. He has been a Consultant Surgeon at the Manchester Royal Infirmary since 2007 and is currently the Upper GI Cancer Lead Clinician and heads the Oesophago-Gastric Department which takes in cancer referrals from Central manchester, Stockport, Tameside and Trafford areas. He also receives referrals from across the North West Region for complex and revision benign (non-cancer) procedures. Mr Sam Majumdar is a full time consultant surgeon at the University Medical School and Ninewells Hospital at Dundee. He is the lead surgeon for voice and swallowing disorders this centre. Prof Shaheen Hamdy is currently Professor of Neurogastroenterology based in the Centre for GI Sciences, Institute of Inflammation and Repair, Faculty of Medical and Human Sciences, University of Manchester. His research interests include neural mechanisms within the gastrointestinal system, with a particular focus on neuroplasticity and functional recovery following brain injury using human swallowing as an experimental model. This work, in collaboration with Prof. John Rothwell (Institute of Neurology, Queen Square) has provided new knowledge about the cortical control of swallowing in man, and defined which aspects of its organisation are important for recovery after stroke. Prof Hamdy has prominence in most aspects of TMS, and has utilised a number of complimentary imaging modalities including PET and fMRI. His most recent work has begun characterising the role of therapeutic interventions in driving cortical plasticity and recovery after neruologic disease, with a particular interest in neurostimulation. His research has attracted over £2.5 million in external grant income from research council, Wellcome Trust and medical charities. He has published over 90 peer-reviewed research papers and has contributed to 8 books.